Tradeshow season has arrived! It's time to beat the winter blues and cold temperatures by getting inspired with ideas for improving your home. One of the first opportunities to do this comes January 9th through the 11th for the 2015 Columbus Build, Remodel, and Landscape Expo, located in Halls G and H at the Greater Columbus Convention Center. Read on below the break for more details. 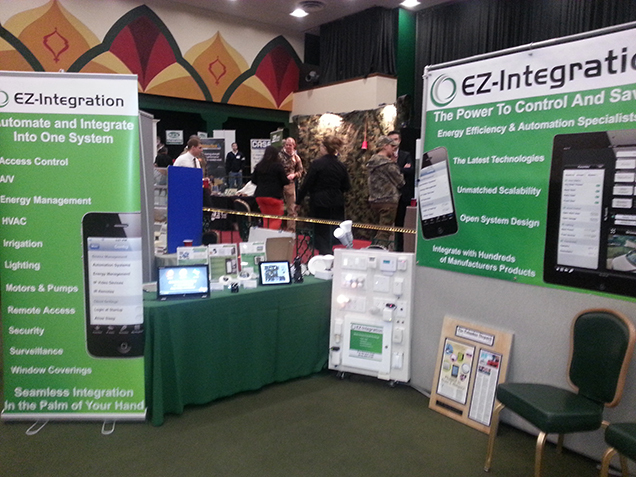 EZ-Integration will be there demonstrating a wide range of smart home technologies. Come see us to get a hands-on experience, discuss how a smart home system can benefit you, learn about the latest announcements from the Consumer Electonics Show (CES), or chat about one of our blog articles. You can find us in Booth #520. Be sure to mention the SmartZone blog. If you happen to be there on Saturday, be sure to check out our presentation at 4:00pm on the NARI stage. We'll be covering why a smart home is a smart choice. See you there!